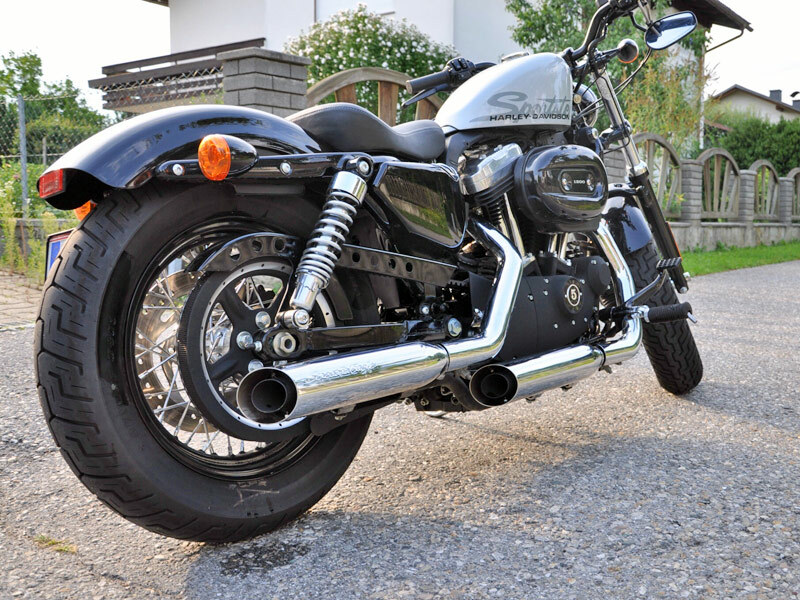 Harley Davidson Forty Eight is popular for its macho and extremely stylish designs. Read the review to explore the features, technical specifications & price. 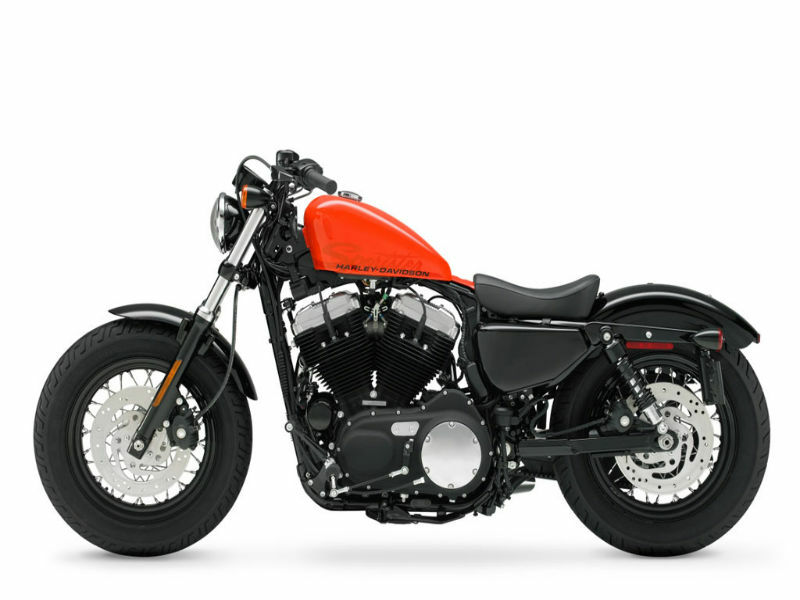 The new venture of Harley Davidson, the Forty Eight was released in India in April 2011. Like any other bikes belonging to the family of Harley Davidson, Forty Eight is also known for its highly impressive design and assured quality. The macho looks of the bike surely serves as a head turner. It is not all about its design but is also known for its power packed performance and greater comfort. Thus with its stuffed body the bike never fails to impress costumers. The Evolution Engine of Harley Davidson derived from its ancestor Shovelhead has brought huge success by its interesting design. Great power, higher performance and durability have made this engine trust able. The 1202 CC V twin Evolution engine of Forty Eight makes this bike powerful and reliable. The maximum torque generated by this engine is about 95 Nm at 3500 rpm. The aggressive and classic design of Harley Davidson Forty Eight is a feast for eyes. Black colored cylinder and engine with the chrome plated silencer adds to the royal look of the bike. The distinctive features of the vehicle such as low seat, huge tires, clean rear view mirrors, stylish handle bars, huge fuel tank and trendy speedometer make the bike stand apart. It is not only about the looks, the quality and comfort guaranteed by the bike is really awesome. Riding a Harley Davidson Forty Eight is completely different feel and every rider would love to experience it. The seating posture, the switches used, handles and everything about the bike is unique and interesting. Handling this bike is very convenient as it is stuffed with good suspension and braking system. The broader wheels provided in the bike is other major advantage as it assures greater road grip. The fuel efficiency of Harley Davidson Forty Eight varies as per the road conditions however as per test conditions it gives the mileage of about 30Kmpl. 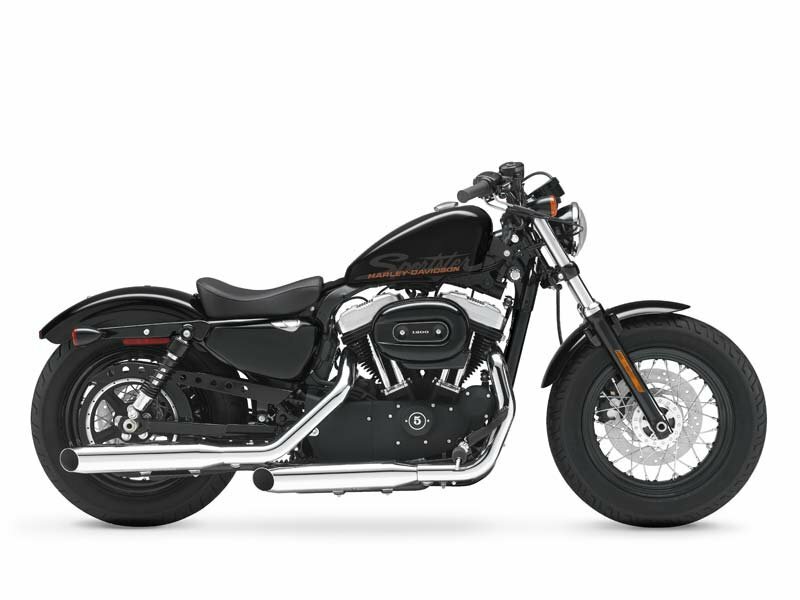 The Ex- showroom price of Harley Davidson Forty Eight is about Rs. 8,65,000. The colors available in this bike are yellow/black, red/black, silver/black and blue/black.